A great cake for 110-140 people. Quickes Mature Farmhouse Cheddar Ring cut to approximately 4cm. A good full flavour Cheddar that has been popular for many years. White Stilton & Apricot, a mild lactic white stilton mixed with sweet Apricots. The flavours compliment to produce a great fruity cheese. Baby Blue Stilton from Thomas Hoe Stevenson. A full flavoured blue cheese that packs punch. 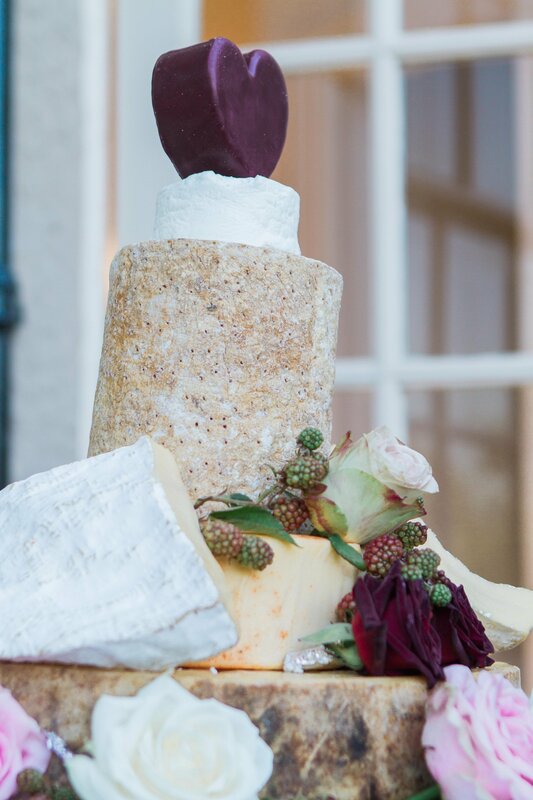 Soft Goat Log, a medium flavoured creamy goat cheese used in this cake to hold the Godminster Heart upright. Godminster Cheddar Heart, a cheese with a rich depth of flavour without the acidity that is sometimes associated with vintage cheddar, giving it a full and rounded flavour with a smooth and creamy texture. Brie de Meaux quarters leant against the sides of the cake. 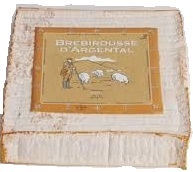 A great example of an unpasteurised Brie. The price shown includes the cheese, with a 10% discount, packed in a polystrene box within a card carton with cold blocks and packing material to protect the cheese for up to 3 days. (Please unpack and refrigerate on receipt.) Once packed it is sent by next day(by 4pm) courier to the address specified on your order. When we receive these orders we will email you at the email address supplied on the order for details of the date you require the cheese and any special delivery details. We require at least 3 weeks to process your order to make sure of supply of all parts of your cake. If you require a cake at shorter notice please call us on 01206 572200 to discuss further. This cake ships as a single item. If you would like to order other items, such as chutneys or biscuits please do so on a separate order and mention you have ordered a cake in the message boxes at checkout. We will join the two orders and refund the carriage for your second order to your card. The price does not include any of the decoration in the picture/s just the cheese. The cake is usually decorated by the florist/caterer within the theme for the wedding.